Scotch on the Rock is our irregularly recurring column from Scotch, music and life enthusiast JD Short. JD pairs one of his favorite Scotches with one of his favorite albums, and tells us why they go so well together. This installment of ‘Scotch On The Rock’ is a special (the real) National Whiskey Day edition. If you’re here, I’d say there is a good chance you know that this Saturday we’ll celebrate and recall our fondest National Whiskey Day memories (National Whiskey Day is a December holiday invented by friends of the PE and celebrated in Bloomington, IN and in satellite locations throughout the world – ed). For such a classy occasion, we must start with a classy album… So, I’m going with Frank Sinatra’s “The Main Event: Live from Madison Square Garden.” For our Scotch, we have to go with something suited to be nestled next to all the other whiskies yet still uniquely Caledonian. Ladies and Gentlemen, from here on in it’s the Isle of Jura 10 year (AKA Origin 10). 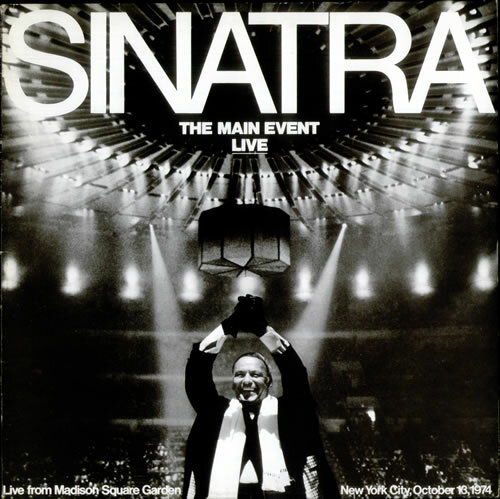 Sinatra’s 1974 Madison Square Garden concert was seemingly one of those seminal moments in music history. An absolutely massive event orchestrated by the incomparable Jerry Weintraub, televised around the world, and in a boxing ring. That’s class, baby. In a career filled with highlights, this concert was tops. Sinatra, of course, is fantastic; earnest and lyrical. Equally as impressive is his backing band Woody Herman and the Young Thundering Herd. This is the kind of album that just makes sense when you’re wearing a suit, scotch in hand. 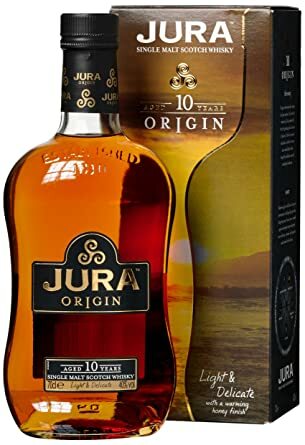 Produced on Jura, an island located just northeast of Islay and directly south of Mull, the Origin 10 is both delicate and full-bodied. Since this is an unpeated malt, the robustness comes from slightly subtle flavors of coffee and anise which are smoothed by definite honey and caramel notes. Overall, this is light for a Western Isles malt, but hardier than you would find in a Speyside malt. Like the Chairman of the Board, this is pure class, but can hang with even the rowdiest. Mr. Short has spent time in the rock and roll outfits Root and The Cardinal Number, as well as being a jack of all trades for Rickenbacker. He currently records under the name BassDbler.